Good Grief! Where Did August Go? Rabbits! Rabbits! Rabbits! Just in case I forget to say it out loud first thing in the morning and set myself up for a month of bad juju! I get the sneaky feeling I've been pretty busy again lately though this is the first time I've been back to the North Shore since I was here in early July with Barb. This time around I'm up in Salem for the weekend with a mission - to house and puppy sit for my friends Juli and Walt while they head off to Montreal to celebrate Walt's September 13th birthday a bit early. I'm kinda envious as I'd love to see Montreal one of these days but it's been there since 1605 so I guess it will still be there by the time I can finally visit it myself. Of course, once I see Montreal then I'm going to want to see Quebec though if I ever get around to doing that, I should probably take someone who speaks French with me just in case! I guess it's sort of cheating to say that I haven't been to the North Shore since early July as I was up this way last weekend - just not in Salem. I went to Portsmouth, New Hampshire with my cousins Amy and Robin to have lunch at Newick's Seafood Restaurant - a family favorite since 1972 when we lived up that way while my Dad was stationed at Pease Air Force Base. We followed that up with a little tax-free shopping and then drove down to Newburyport, Massachusetts to attend a concert by the Nova Scotia bluegrass band, The Spinney Brothers. In case you're interested in reading up on either adventure, you can click here and here for the posts on The Distracted Wanderer. My Travels With Nathaniel for the Hawthorne Hotel have been keeping me busy also though most of that has been in the form of writing rather than traveling the past two months. I'm hoping to maybe get to a place or two with mini-Nate this weekend if the last-holiday-weekend-of-the-summer crowds aren't too bad. The weather is supposed to be quite nice so that's a major plus and it's been too long since I've walked through a historic house so it's time to amend that. Amanda is up here with me and visiting with some of her North Shore friends in between helping out with the pups who are pretty easy maintenance as long as they get their food and their walks and some attention now and again. 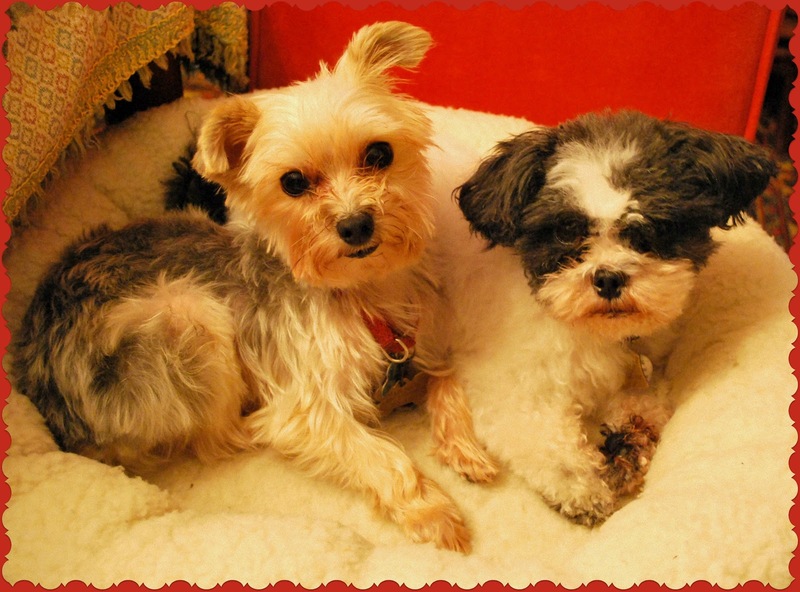 Just don't tell Tesla that we're up here with a couple of dogs, he might not like that very much! 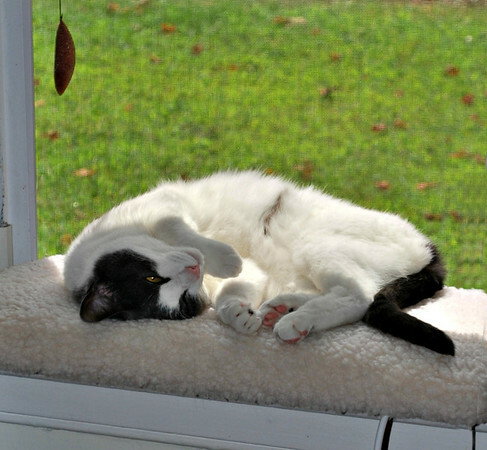 Kookie is the older lady of the house who is more interested in naps than walks and is starting to have a touch of dementia - bless her little old heart. In other news, Jamie will be coming home from Toronto in about two weeks but chicken that I am, I haven't told Amanda that yet; I reckon I'll break the news to her this weekend at some point. I think she was hoping that her sister living in Canada was going to be a permanent thing but I always hoped Jamie would come back home at some point and figured she'd have to come home after six months at any rate or be an illegal alien. Those two are just going to have to grow up and learn how to get along - and get jobs too, that would be nice! I hope that everyone has a great start to their September - which I still can't believe is here already. Time most certainly does fly! This past Wednesday marked the forty year anniversary of my beloved grandfather's death. There will never be an August 22nd that goes by without my remembering the night that Gramp passed away, not as long as there are katydids and crickets singing their August songs in the dark or while my own heart continues to beat. There are some things in life that you simply never forget and for me, my grandfather's death will always be one of them. As I was trying to think of what to write to mark the occasion, I looked through some old blog posts and came across one from when I was just a baby blogger and barely three months old with probably only a small handful of readers - if that. With that small of a readership, it seems like I should be able to get away with re-posting it as it does a pretty good job of summing up what grandparents mean to me and that seems like a pretty good way to mark the occasion of my grandfather's death all those long forty years ago when I was a mere kid of 13. Funny, I can't remember what I had for lunch yesterday but I can still recall exactly how I felt on that late summer night and I can still remember what a fantastic grandfather I was blessed with and the terrific memories that I will always have of him even if August 22nd always makes me a little sad. Last week was pretty rough at work. We were still down two dispatchers due to people having left the company awhile ago, Jen is still out on maternity leave, Erik went on vacation, Matt & Brad went down to North Carolina to pick up a few new ambulances, and several other people were out sick. I put in way too many hours and am going to end up with a ridiculous amount of overtime in my check that will definitely make Uncle Sam very happy. Suffice it to say, the week wore me out and I think I've been carrying over some of that residual tiredness to this week. After all, I'm not as young as I used to be - a fact that people just love to remind me of on a regular basis! I was still feeling pretty worn out the other morning when one of the paramedics that I work with referred to me as "grandma". Initially I took offense to the comment and then the light bulb went on ... "DUH! 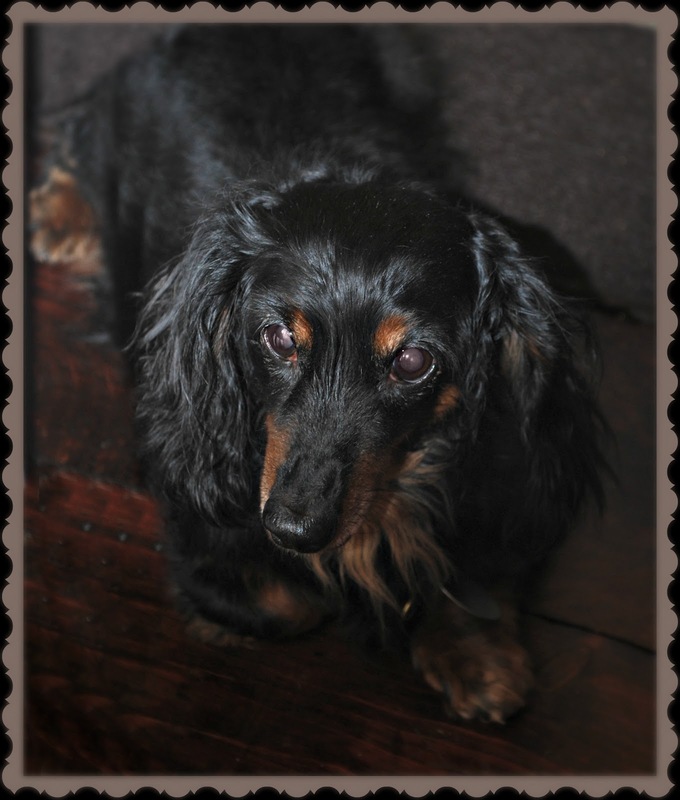 I am a grandma!" Because my son and his wife live in Rhode Island, I don't see my grandson very often so it's a little too easy to forget that not only am I old enough to be a grandmother, I am a grandmother. I think part of the problem is that I don't really consider myself to be old (even though there are days when I feel like I was around before Rome was in ruins) and for some reason I have the mindset that grandparents are, well, old! What I keep forgetting is that I am at the age where a lot of people become grandparents for the first time. My own parents were only 46 when my son Michael was born and my friends Cyndi and Rhonda have both held the title of grandmother for several years. Ealier today I came across an old newspaper announcement for the birth of a granddaughter to one of the guys I used to work with at Norwich PD and I initially thought, "wow, he can't be old enough to be a grandfather" but then I thought, well, why not, his son is older than mine. I have to wonder though if, having kids at home younger than mine, he feels like a grandfather? Which brings me to the question of "what exactly is a grandparent supposed to feel like?" I was very lucky when it came to my own grandparents though I didn't have the requisite two on each side. My mother's mother died when I was only three months old but my grandmother on my father's side was your typical "granny" and that's exactly what she was called - though in later years she always referred to herself as "Old Gram B". If I've inherited nothing else from her, I have acquired some very unique phrases that I hope to write about in a future entry! My grandmother was your typical old Swamp Yankee who used to knit clothes for my dolls, made a mean raisin-filled cookie, and treated me like gold. I can still remember trips to the big "city" of Willimantic sitting between her and Maurice, my step-grandfather who always smelled (not unpleasantly) like the barns he worked in. On my mother's side, my grandfather was my idol (and still is). 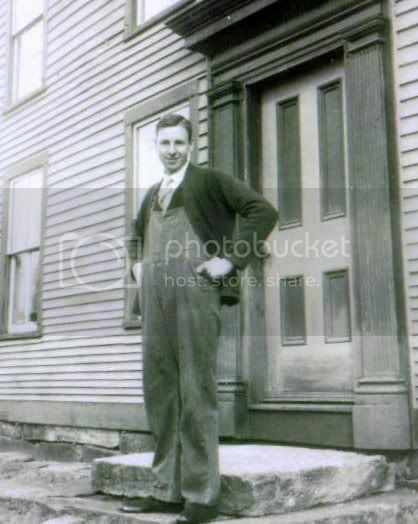 If ever there was a storybook grandfather, my Gramp was one and then some. He had the patience of a saint, a fantastic sense of humor, and brewed a homemade root beer with a kick like a mule! Some of my fondest memories are of times spent with my grandfather - Sunday dinners at his house, car trips to apple orchards or to get ice cream with six of us cousins stuffed in his old bought-at-auction State police cruiser, trips to Mystic Seaport and Sturbridge Village, or just sitting on his lap while he read the Sunday comics to us. I swear there are times when I can still smell his Old Spice aftershave and feel his whiskers on my cheek. Maybe that's why I have so much trouble picturing myself as a grandparent - I'm still looking at grandparents the way that I looked at mine and my best memories of them were when they were older. Technically, though, they weren't exactly old when they became grandparents - only a few years older than I am now - which is a sobering thought! I think they grew into being fantastic grandparents over time and someday I think - I hope! - I will, too. Right now I'm not very good in the grandparenting department but I hope that when Mathew is older, he'll have good memories of me, too. Memories that perhaps 30+ years later he'll be sitting down to write about if he inherits my enjoyment of writing about everything and nothing! Maybe that's the greatest thing we can leave our children and grandchildren - memories that they will treasure for a lifetime. I know I treasure the memories my grandparents and parents have given me and, no matter what else I might forget in this life, I hope I never lose those memories for they're truly my inheritance in this life. First off, allow me to say that my Mom is the best Mom ever! As some of you may remember, I've occasionally made reference to the fact that most times I wake up stiff, sore, achy and like I spent most of the night tossing and turning rather than actually sleeping. I blame that solidly on my rather solid mattress but I've been rather hesitant to spend the money to go out and get a new one as, let's face it, the darned things are expensive and what happens if you get one home and find out that you aren't sleeping any better on it than you were the old one you just replaced? T'was a conundrum so I simply continued to flip the mattress and hope for the best ... yea, like I was going to one day miraculously wake up without being stiff, sore, and groggy! 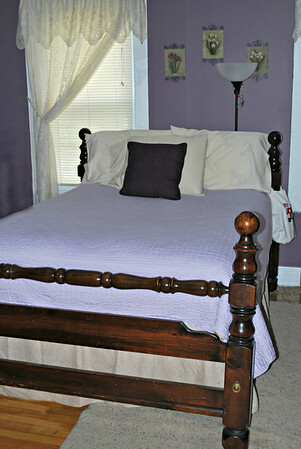 "Experience the comfort of this Home Classics mattress topper. Dual-layer technology features two inches of fluffy fiberfill, followed by two inches of premium memory foam. The dreamlike design relieves pressure points and reduces tossing and turning for the utmost in relaxation." To say that the "high-density, two-inch thick memory foam contours to the shape of your body, offering personalized, therapeutic support" while the "two-inch thick microfiber fill adds a second layer of luxurious softness" is not just the truth, it's an understatement as for the last few nights I have slept better at home than I have in a very, very long time! 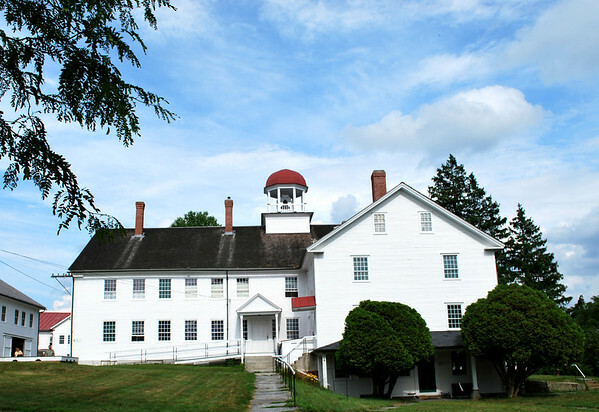 As I settled into the cloud-like comfort of my bed last night after working a 16-hour overtime shift in dispatch, I was reminded of the wonderful beds at the Inn Victoria in Chester, Vermont and the Captain Lord Mansion in Kennenbunkport, Maine. Now if I could just open my bedroom door and find a gourmet breakfast with fresh juice, delectable baked goods, and deliciously hot coffee waiting for me I could almost fool myself into thinking that I was on vacation! Amanda (who is quite jealous and probably can't wait for me to go somewhere overnight so she can sneak a sleep herself) now refers to my bed as practically being in the clouds as though it was pretty high before, it's now a lot higher with the addition of the 4" topper and the new fluffy mattress pad that I got to go over it. I don't quite need a stool to climb in but it's close and as far as climbing out ... well ... before I was lucky if I could comfortably sleep for six hours at a time and now ... well, now I don't want to get out of bed at all it's so comfortable! Thank you very much, Mom - truly it's the best birthday present EVAH! 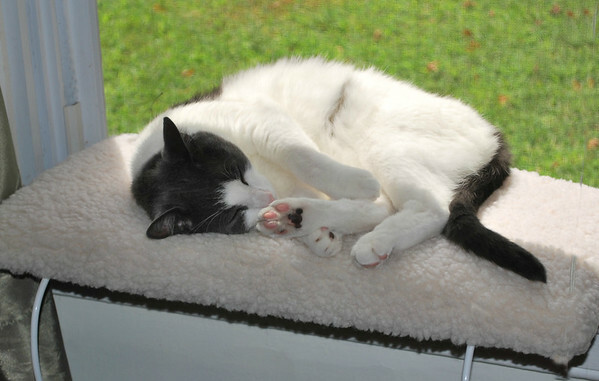 Thankfully we've had a break from the nasty hot and humid weather that August had been blessing us with so we're able to have the windows open and the air-conditioning off and Tesla has now decided that his new window perch is actually quite nice - even when someone is disturbing his nap by taking pictures! I wonder if Tesla could talk if he'd tell me that was his best present ever? It would be nice to think so! Just popping in for a quick post before work to say "Hi!" and dust off the cobwebs. It was another busy batch of days off for me - not because I went anywhere exciting, mind you, but simply because I was up to my eyeballs in everyday stuff. With a couple of overtime shifts scheduled for this weekend I suspect that it shall be the same on my next batch of days off but that's okay as I haven't worked any overtime in quite awhile and I could use the extra cash for future wanderings! The picture above is from my last trip to the North Shore with Barb way back in early July though it sure doesn't seem like it could have been a month and a half ago already! That picture above shows the Twin Lighthouses of Thacher's Island which I pointed out to Barb from the shore near Rockport, if you're interested in learning more about them check out my latest post on Travels With Nathaniel titled "Going to Gloucester for Great History, Gorgeous Views, and Good Eats!" 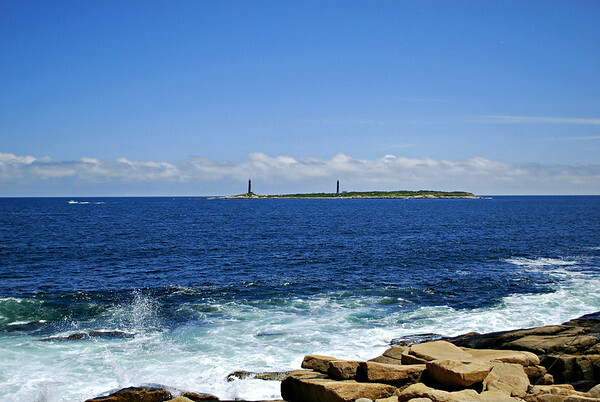 Not only can you learn about the Twin Lighthouses but take a virtual tour around other nice parts of Gloucester which is America's oldest fishing community and a place I'd love to live someday if I were to ever win that elusive lottery! After going up to Day Kimball Hospital yesterday morning and having the second half of an EMG done to see if my carpal tunnel syndrome had flared up again or if there was another reason I have numbness in my fingers and pain in my shoulder (the doctor said that the test didn't indicated CTS or any nerve damage), I went to visit with my mom for a bit who is doing great and not showing any signs of the stroke she suffered in May. They are having a deuce of a time getting the dosage correct with the blood thinners that's she's on and she said that her sugar has been out of whack as they've changed her medications with that too but otherwise she gets around pretty darned good and is doing well. Until they get her prescription right on those blood thinners, though, I told her she'd best not even get a paper cut or she'd be in trouble! Following that visit, I came home and took a Benadryl as my arms had broken out pretty badly from where the metal leads of the test device they used at the hospital had been applied as I seem to have developed a horrible metal allergy as of late. That knocked me right out so I found myself going to bed at 7:45 and not getting up (except for that short break in the middle of the night when my bladder was screaming at me!) until 5:00 this morning. Yikes! I should be well rested for work at any rate! At least that's my hope though I'm sure a nap will sound lovely right around 2:00 this afternoon but that will most likely be when most of the 911 calls come rolling in as it's another of Murphy's Laws that the number of 911 calls meets or exceeds the number of yawns executed by a dispatcher at any give time! Ah well, speaking of which, time to climb into my uniform and go earn a paycheck. Hope all is well in your parts of the world no matter where they may be! 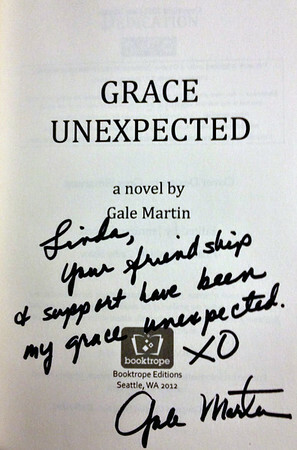 Gale Martin, Author of "Grace Unexpected", Is Exactly How I Expected Her to Be! One week ago today, I took some time off from work, picked up my friend Paula who happens to live in my small hometown of Canterbury, Connecticut, and pointed the car north to make the drive to the small town of Canterbury, New Hampshire. We weren't heading that way simply to see another small town named Canterbury - nope, we were on a mission. A mission to at long last meet a woman whom I first got to know through this very blog way back in the Golden Glory Days of Blogging when memes were all the rage and there were awards for just about anything you could think of! I can't pinpoint the exact time that I made Gale Martin's acquaintance but I'm guessing it was sometime in early 2007 when this blog was still in its infant stages. 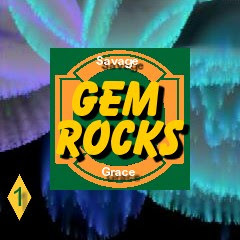 At that time Gale wrote a blog titled "Gem-osophy" - for which she won the Post of the Day Award from The Rising Blogger back in April of 2007 - and one of the things that she spoke of was the writing she was doing on a novel that had the working title "Savage Grace". It was easy to tell that Gale had the chops to be a real bona fide novelist and if the finished product turned out to be anywhere near as witty and snarky and fun as the writing on her blog was, it was sure to be a bestseller. However, trying to write both a blog and a novel was proving to be a little difficult - something that I have no trouble believing at all as I have problems just writing multiple blogs never mind trying to write a real book! When Gale got bogged down in her writing, another blogger by the name of Frank (of Foxxfyrre's Honk'n'Holl'r) became the Chief Yell Leader and rallied a group of bloggers to become the Gale Martin Unofficial Cheering Squad so that we could encourage Gale to keep working on her novel. That encouragement came in the form of a Gem Rocks! visual aid, encouraging posts from the UCS members, and even a "Dark and Stormy Meme" project designed to showcase some truly horrible writing that would hopefully provide Gale with a laugh or two while she showed us how the real writers did it. Then the dust kinda settled and people sorta lost touch and though Gale continued to work on "Savage Grace", nothing really came of it for awhile. I don't believe that we necessarily stopped cheering for Gale but we did it separately rather than as a group. I know I always hoped that "Grace" would eventually see the light of day in book form but I figured I was just going to have to be patient. Not one of my strong suits but I can pull it off occasionally! In the meantime, while I was being patient, Gale had started another novel which turned out to be just as witty and snarky and fun as Grace was going to be except that this one was titled "Don Juan in Hankey, PA" and this one was accepted by a publisher who had the good sense to see what the rest of us already did when it came to Gale - she's a writer who brings her characters to life, who tells a story that you totally enjoy, and who writes dialog like (as my old Gram B would say) nobody's business! Gale had arrived and I couldn't have been happier for her if I tried! 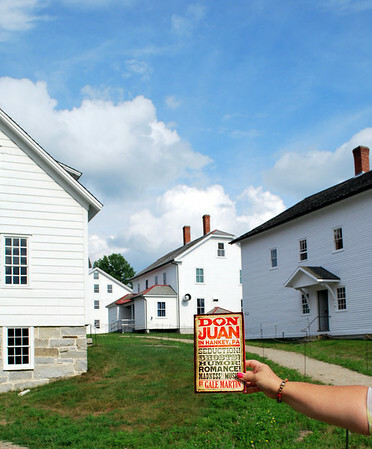 I absolutely loved "Don Juan in Hankey, PA" but I had to wonder ... what had happened to "Savage Grace"? Well, I didn't have to wonder for very long at all for after the success of her first book, it wasn't long before it was decided that "Savage Grace" was finally going to be published only she wasn't savage anymore, she was unexpected. 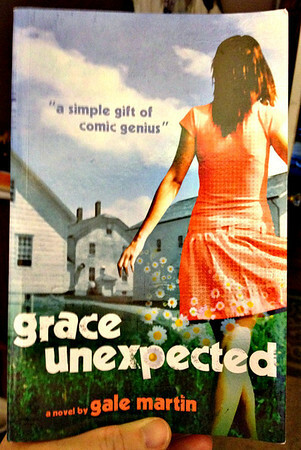 "Grace Unexpected" - which had started out as an idea after Gale had visited one of the few remaining Shaker Villages in New England with her daughter - the very book that we members of the Unofficial Cheering Squad had chanted "Go Gale Go!" for - was now a reality! Once again, I couldn't have been happier for Gale if I tried. 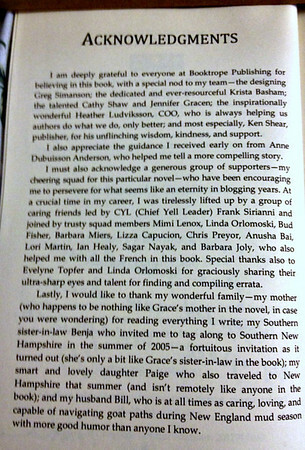 To know that all of that hard work and dedication and creativity hadn't gone for naught but had become the book that we always thought it would be just tickled me pink and then some as it validated that which I always knew to be true - that Gale Martin is a woman who can write and write well and make people laugh and take them out of their own worlds and into one that she has created for awhile with that writing. And isn't that the true hallmark of a good writer? Someone who can tell a story so well that when you look up from the book you think, "Dang ... I've been reading for hours and never even noticed!" So, anyway ... I have obviously digressed and lost track of my own story! 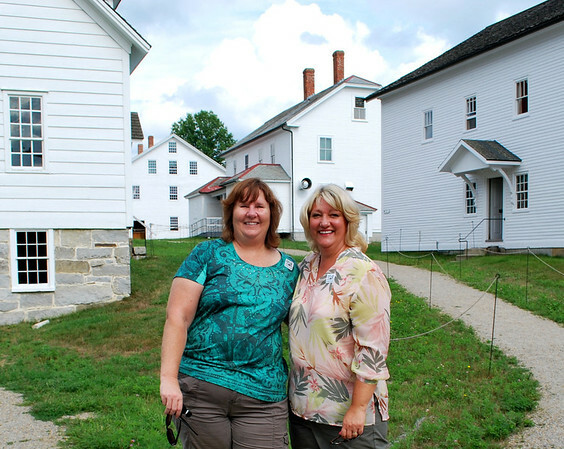 The reason that my friend Paula and I made the 2-1/2 hour journey from Connecticut to New Hampshire was because I was at long last going to have the opportunity to meet the woman that I had cheered on and admired and I was going to meet her in the very place where Grace had started - at the Canterbury Shaker Village in Canterbury, New Hampshire. After introductions and chatting for awhile, Gale, Bill, Paula, and I took the guided tour of the Shaker Village and had a chance to go into the Meetinghouse where Grace has her epiphany (if you can call it that) along with a few of the other buildings that you can only see via guided tour. Following that, we looked around a little bit and found the very spot that appears on the cover of "Grace Unexpected" - minus the daisies! Oh wait - wrong book! That sneaky Don Juan just had to get in on the act! There we go! Gale doing her best imitation of Grace - though I made her face forward so that you could see her big smile rather than stand with her back to the camera! Bill was nice enough to take a photo of Gale and I (which considering we were squinting into the sun didn't come out too badly!) so someday when Hollywood gets around to making movies of her two books - and they'd better if they know what's good for them! - I have photographic proof that I met Gale and "knew her when"! Maybe a copy of the photo will get me into the opening night premiere! I have to say that over the years, I have been very, very fortunate to have met a lot of people in real life whom I first got to know via blogging and it is always a true pleasure and honor to do so. Gale was certainly no exception to that and I would have happily driven twice the distance to meet her and her wonderful husband but there was certainly something even more special about meeting Gale in the place that inspired Grace. And I'm not just saying that because I am mentioned in the Acknowledgements and there's even a character in the book named after me. Srsly. But I'm not saying anymore about that so you'll just have to get the book and read it to find out who and what my character is! Other than wicked awesome of course! Thank you, Gale (and Bill! ), for driving over from Vermont and getting lost and locking both sets of keys in your car and having to wait for the AAA guy to get there so that you could meet me in Canterbury! Thank you for writing such a funny, witty, and fantastic book - two of them as a matter of fact! And thank you not being unexpected at all but exactly the person that I expected you to be - and more! Ah, The Stories I Would Love to Tell If Only I Had My Blogging Mojo Back! So I've decided that I need a secretary. There has been so much going on lately and so many wonderful things that I want to write about but boy howdy, I just don't seem to have the energy to sit at the computer and put words and pictures together to share those things with you. At least not today and maybe not even tomorrow. Yesterday I managed to write a post about Gloucester, Massachusetts for Travels With Nathaniel but it took me over 12 hours to put it together and by the time I was done, I was pooped, and even though I wanted to write about my trip to the Mark Twain House last weekend and my trip up to the Canterbury Shaker Village and some other interesting places in New Hampshire last week for The Distracted Wanderer, I just didn't have the ambition to writer about any of those things. And then there's the post that I want to write about meeting Gale Martin, a blogging friend from long ago who has recently published not just one but two books. I met Gale at the Shaker Village where her second book, Grace Unexpected, begins - a book where I am not only mentioned twice on the Acknowledgments page but where there's also a character named after me which is about the coolest thing ever but do you see me writing about that? Nope, you might see a post with a paid ad below this one that I felt obligated to write but you don't see a post about meeting Gale and finding that she is even funnier in person than she is in written word. A post that once again says, "I had the privilege of meeting this person in real life and she's just as warm and wonderful as I always knew she would be!" like I've had the opportunity to write numerous times in the past. Nope, you don't see those posts because I appear to have lost my writing mojo lately and instead of blogging and sharing all these great things with you, I spend a ridiculous amount of time playing Bejeweled on Facebook and looking to score that elusive X7 multiplier. And that's why I need a secretary ... so I can tell my stories to her (or him) and then he (or she) can write the posts and include the pictures and also go through my Google Reader so that I can once again feel like a productive member of the blogosphere. However, being as how that's probably never going to happen, with any luck I'll wake up with more ambition tomorrow, my blogging mojo will return, and maybe - just maybe - I'll get one or two of those stories told! Trust me, they're good stories too! Clear Blue Skies and No Humidity - That's What I Dream Of! This past summer - which seems to be whizzing by at an alarming rate - has found me doing a lot of traveling in areas that are close to the sea and it's definitely made me reassess the statement that I always made about being more a mountain person than an ocean person. Maybe as we grow older the landscape that we like changes - just like our taste in things like vegetables. As a kid I wouldn't touch spinach or brussels sprouts with a ten-foot fork but now that I'm older, I quite like both of them! So of course all of this visiting of places near the sea has made me think about maybe someday being able to live somewhere near the sea myself and not necessarily in New England either as when winter rolls around again I'll be reminded of how much I don't care for the snow and the cold just like every summer I am reminded of how much I don't like the heat and humidity. Lately I find myself thinking about being able to retire to someplace perhaps along the Mediterranean with a beautiful view of the sea or at least with the sea within an easy walk of the place I call home couple with clear blue skies and no humidity as we've gotten plenty of that lately thank you very much! I've taken to watching House Hunters International on HGTV lately and it's made me think about how some people have the courage to just get up and move someplace else so that they can experience a new culture and new adventures - essentially a whole new world - and it's made me think, "Would I ever have the guts to do that?" I'd like to think I would but I don't know and in the meantime it doesn't hurt to look so I decided to check out some Kalkan Property listings the other day - places that were only a 2 or 5 minute walk to the beach - places with beautiful blue skies and cool tile floors - places that screamed "relaxation!" - places that looked like they had no idea what a snowflake or high humidity level was - and I wished once again that I could win that darned elusive lottery and change my life so that maybe I could do more than just look at pictures and wish. And if I can't win the lottery, how about I simply find a wealthy man who already owns a lovely Mediterranean villa that he'd like to share with me! That would work, too!